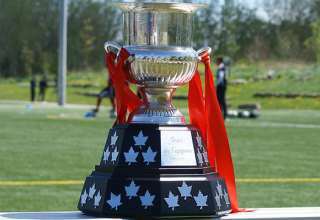 Over the past several years, we’ve seen second-division teams, whether it’s the Ottawa Fury or FC Edmonton, gamely fight MLS opposition at the semifinal stages of past Canadian Championships. Sure, you can argue that Toronto FC didn’t score two of their goals until late in the second half, when the Fury was stretched. But, really, TFC keeper Clint Irwin didn’t have to make a single meaningful intervention all night long. The Fury did little to threaten Toronto’s goal — and the Reds booked their spot into the final with relative ease. All three of TFC’s goals Wednesday night were scored by players who call Canada home, but only two of them are officially recognized as domestic players for the purposes of the Canadian Championship. Brampton, Ont.-raised Ayo Akinola scored his first senior goal for the Reds to open the scoring. 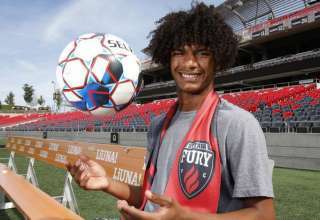 But, as Akinola has played for the United States at the youth level, he’s not regarded as a domestic by Canada Soccer. I guess that makes him a… wait for it… Bramerican. Ottawa’s backline was undone by a clever ball from Liam Fraser that picked out Ryan Telfer in the box. 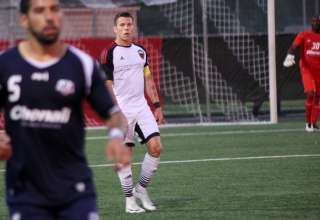 The ball came off Telfer, and then was cleared off the line by sprawling Ottawa defender Jeremy Gagnon-Lapare. But the “clearance” only travelled a couple of yards, and Akinola dashed in for the easy-peasy, lemon-squeezy finish. 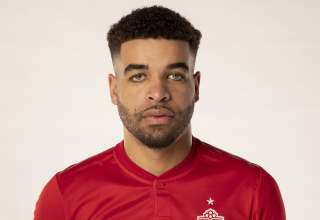 Jordan Hamilton made it 2-0 after he found a lane between former TFC defender Nana Attakora and Gagnon-Lapare. He met Ashtone Morgan’s low cross for the elementary finish. Telfer had gone down just seconds before, but the Reds decided to play on, and were rewarded for it. 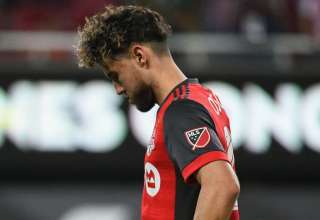 The Reds got a late goal from Jonathan Osorio — the Brampton native’s fourth career Canadian Championship tally — as Ottawa was stretched and defenders couldn’t get back to stop a Reds’ counter. Osorio smashed a shot off the underside of the bar and in.